If you've said, "What this summer needs is a nearly identical sequel to a previous bromance groaning with sight gags, vulgar jokes and self-referential winks that doubles-down on the meta-humor about being a bromantic sequel," then you're in luck. 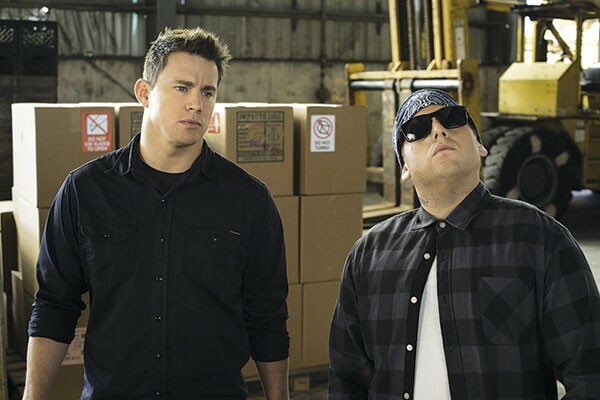 Phil Lord and Christopher Miller's 22 Jump Street re-boots the undercover-cop duo portrayed by Channing Tatum and Jonah Hill in 21 Jump Street. ("Do the same thing as last time, and everybody's happy," says their boss.) So they enroll in college to bust a drug ring there, but mostly work on testing out the limits of their relationship, when Tatum's character falls for an alpha-bro football player. And speaking of re-packaging an idea, be sure to sit through the credits for a bonus reel of the many many Jump Streets (and ancillary products) yet to come. It's funny because it's true.